When two candidates are equally experienced, equally capable, and equally impressive, who gets the job? In today’s job market, employers are often faced with this question. How do they differentiate candidates? If all things are equal including skills, experience, education and availability, how do they choose? How do you differentiate yourself when applying for a job from the many other candidates in “the pile”? What lasting impression do you want to leave once an interview is over? It all comes down to passion! Employers want employees who show an excitement for the job. An excitement to be a part of their company and all it has to offer. 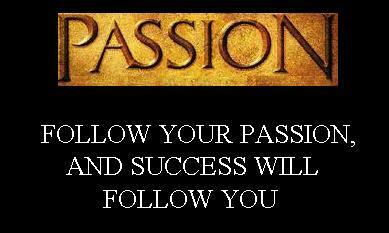 Passion ignites motivation and motivation drives success. Today’s business world thrives on innovation. If someone is not passionate about what they are doing, they cannot contribute to innovation. Those who are passionate think up clever ways to solve common problems, they try harder to find solutions that will benefit their company. They seek to make a difference. It’s this simple, if you are not excited about the industry, the company, and the opportunity you might not get the job. Be passionate, be excited…. Or be passed over! This entry was tagged Be Passionate. Bookmark the permalink.